CloudWATCH webinars aim to evangelise the merits of cloud services to SMEs and governments. 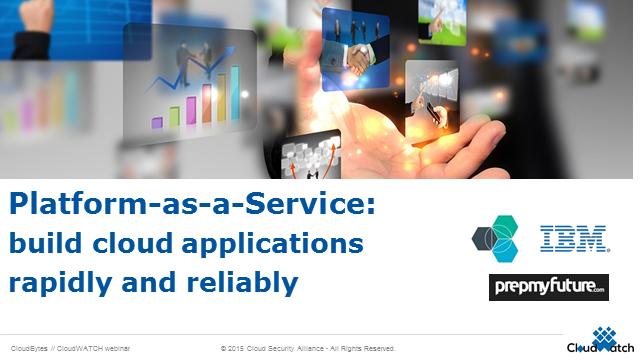 This particular session on building cloud applications will explain Platform as a Service. Cloud technologies, such as Bluemix, make app development easier, more practical, and cost effective. Also, Achille Pinson, founder of PrepMyFuture.com, will share his experience as a cloud service provider close to app developers in education related apps. We offer the opportunity to ask questions in this interactive webinar.